The Belo Monte dam will be the third largest dam in the world. It follows the construction of the Jirau dam built on the Madeira River. 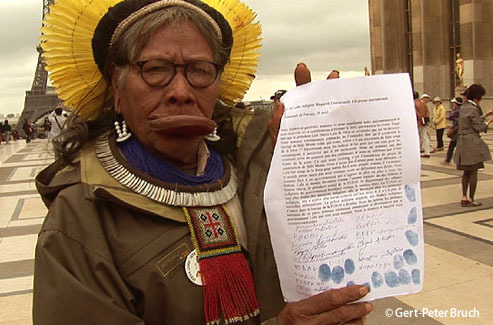 Belo Monte will flood 668 km2, of which 400 km2 of primary forest, in indigenous territories. Twenty thousand people will be relocated and at least 24 peoples will undergo a change in lifestyle due to the rarefaction of their food resources. Belo Monte opens the way to other attacks towards the green lung of our planet as it represents not only a source of domestic energy for Brazil, but also a source of supply for new mines, such as the Belo Sun gold mine which has announced its opening in late 2012. Its construction has been subject to numerous national and international complaints and has been repeatedly condemned. Moreover, the environmental destruction which the Jirau Dam is causing will have a serious impact on local communities located along the Madeira basin – shared by Brazil, Bolivia and Peru – flooding forests, devastating fish stocks and irrevocably destroying local populations’ livelihoods. Indeed, indigenous populations affected by the dam have not had any proper consultation, nor given any consent, neither have any preventive measures been taken for a dozen tribes, some of whom are self-sufficient in the Xingu river basin. In addition to those points environmental impact studies have been completely miscontrued. 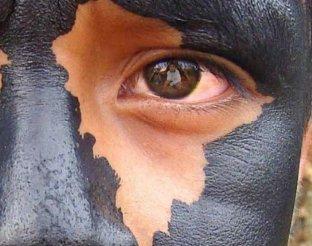 By threatening the heart of the amazon forest, the BELO MONTE dam is standing in the way of our future.